Fourth placed Gloucestershire entertain Northamptonshire at the Brightside Ground, Bristol in this Specsavers County Championship Division Two match. The hosts will be in good spirits, after an unexpected last day win over Glamorgan at the same ground last week. Coming second for much of the match they bowled the Welsh county out for 143 to win their first match of the season by 125 runs. Northamptonshire have yet to record their first victory. They have drawn four and lost one of their five games. In their match last week they drew with Kent at Wantage Road, with only eleven overs possible on the last day. The Midland county’s only defeat came in their second game at Chelmsford when they were beaten by an innings by leaders Essex. 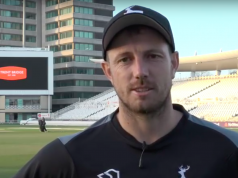 Gloucestershire were delighted to have signed South African Graeme van Buuren just after the start of the season. The 25 year old right hand top order batter and slow left arm bowler has an excellent first class record in South Africa, scoring over 3000 runs at an average of over 50 and taking 64 wickets at 25. Van Buuren demonstrated in his Championship debut last week what a useful acquisition he could be for the Nevil Road side- making useful runs in both innings and helping to bowl Glamorgan out on the final day with 3/15 from ten overs. What’s more, van Buuren’s wife is British so his inclusion still enables the county to include an overseas player in the Championship. Northamptonshire’s Ben Duckett made a dramatic start to this season, making 282 not out against Sussex at Northampton. Only four Northamptonshire batters: Mike Hussey, Chris Rogers, Mal Loye and Raman Subba Row have bettered Duckett’s effort. This built on a great run of form which saw the 22 year old product of Stowe School score four Championship hundreds in his last eight innings of 2015. To date Duckett has scored over 400 runs this season at an average of 68.1. 2016 could be the season in which Duckett which well and truly rids himself of the ‘bad boy’ image gained at the beginning of last season, when he was omitted from a pre-season tour to Barbados after not meeting the fitness targets, and was then convicted for drink-driving. As both counties were involved in T20 games last night neither have named their squads for the game at the time of writing. 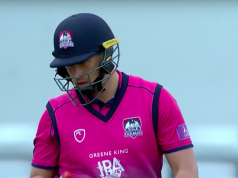 It is likely that Gloucestershire will show one change – the return of Michael Klinger to Bristol will pave the way for his reintroduction in place of Cameron Bancroft. 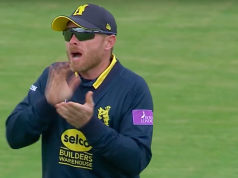 Chris Dent, Cameron Bancroft ,Michael Klinger, Hamish Marshall, George Hankins, Kieran Noema-Barnett, Jack Taylor, Josh Shaw, Craig Miles, Liam Norwell, David Payne. The weather forecast for Bristol for the duration of the match is mainly dry, with the possibility of light rain on the first two days. The pitches at the Brightside Ground this season has mainly favoured the batsman, although there has been little pace which has tended at times to produce rather uninspiring cricket.